April 24, 2019 by Business Agent. 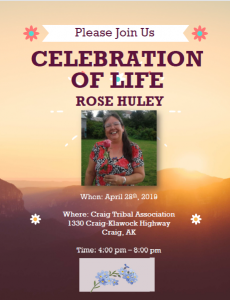 A notice to join in the celebration of life for Rose Huley. 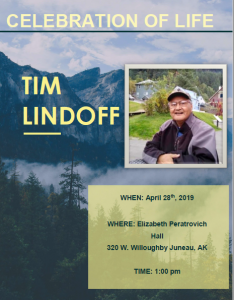 See the link for more information. April 17, 2019 by Business Agent. April 1, 2019 by Business Agent. March 25, 2019 by Business Agent. 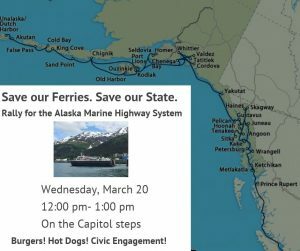 There will be a BBQ and rally across from the Capitol in Juneau Wednesday March 20 @ Noon to 1:00 pm. Everyone’s continued support is making headlines, keep up the good fight and thank you to our members, brothers and sisters in other unions, family, and friends who have supported us! March 15, 2019 by Business Agent. The bid list that was released today for the M/V Tazlina regarding unlicensed bid positions has not been sanctioned by the IBU. If you have any questions feel free to contact us at our offices. March 13, 2019 by Business Agent. Click here to see an article about our ferries and the budget. March 11, 2019 by Business Agent. March 6, 2019 by Business Agent.